Vélo Vogue: Extra! Extra! Read all about it! Free Art for SF! SF does it again - pushing the [um] envelope on public art. Paper Girl delivers. 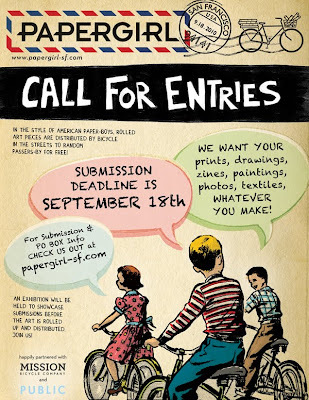 In the style of American paperboys, rolled art pieces are distributed in the streets to random passers-by for FREE! There are no guidelines as to format, subject matter, or quantity one can submit. 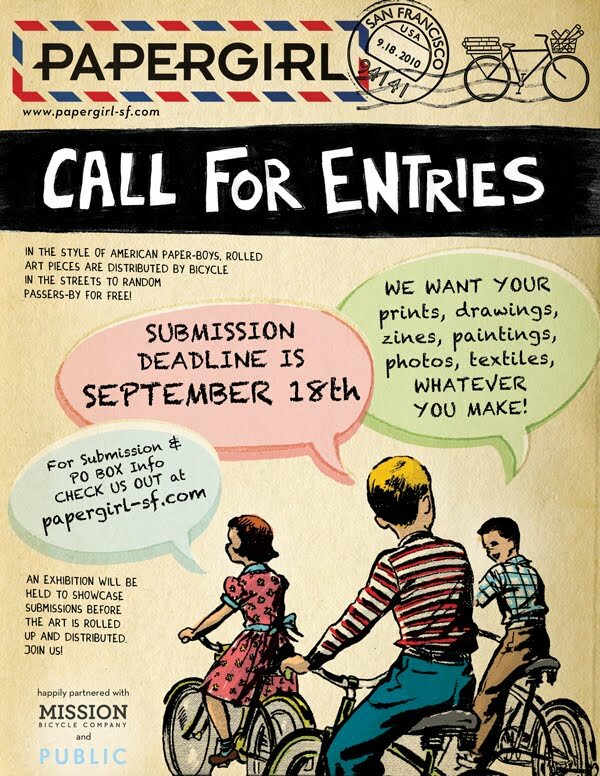 Anything can be submitted: prints, photos, drawings, paintings, zines, writings, textiles, etc. The only requirement is that the art be flexible enough to be rolled up!